One awesome way for families to build character together is to offer service to others. Not only does serving allow children and parents to practice numerous character traits, but it is also fun and meaningful to contribute to the community. There is nothing quite like making a difference to motivate one to become a more kind and patient person. So many beautiful memories can be made serving together as well, which will naturally contribute to very special family bonds. In this post I will share some of the most commonly asked questions I hear from parents who want to involve their children in service to others, along with some articles that may give some helpful ideas. 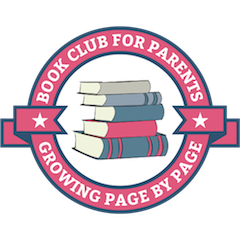 Do you recommend any websites/books for finding ways to serve with children? I published a list of 52 acts of kindness for families which you can read here. This post shares three other wonderful resources (two websites + a book) for finding ideas of how you can serve with kids. How does service help children develop character? In this post I shared the five character traits in particular that I’m noticing my kids develop as they serve others. Do you ever do “special” service projects with kids? Yes! We have an element of service in our children’s birthday parties. You will be amazed how fun and meaningful it can be. Visit this post for over 15 ideas for giving your child the “gift of giving” on their birthday. Can you give me an example of a “random act of kindness” you can do with kids? This post tells the story of a random act of kindness we did when my boys were 2 and 4 years old. Can you recommend any specific organizations to support? How do you incorporate acts of kindness into your routine at home? This post explores how you can encourage kindness at home. The more kids practice kindness at home, the easier it will be for them to practice it outside the family environment! What if I just need something to help keep me on track, so I can be reminded to offer service regularly? 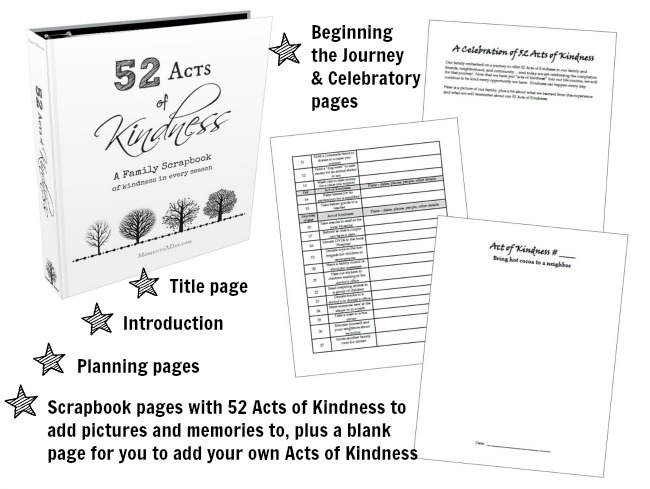 My ebook 52 Acts of Kindness: A Family Scrapbook of Kindness in Every Season is a practical resource that can help families integrate service into busy life. The list of ideas shares simple ways for serving others, and the format offers a special place to record meaningful memories together so that you can stay motivated and chart your progress. To find out more about it or to get your copy, visit this page. I would really like to read about some examples of families who serve regularly with their children. Can you give some? Sheila from Pennies of Time recently interviewed three families (ours included) about this very topic. Head over and read her post here. 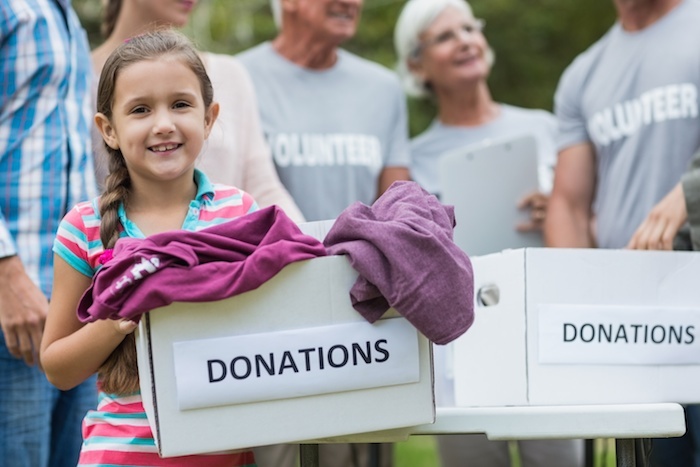 Does your family offer service to others? What is the greatest lessons you have learned about serving as a family? We have made service a family goal for 2014 and this post will be a great help in finding different ways to meet that goal 🙂 Shared on my FB page and pinned. Awesome Kylie I’m so excited for your family and hope you all enjoy your service together!! I think I have been looking for this list for few years already. Thank you so much, Chelsea. 2014 will be much better I think. Awesome news, best wishes for a wonderful new year!